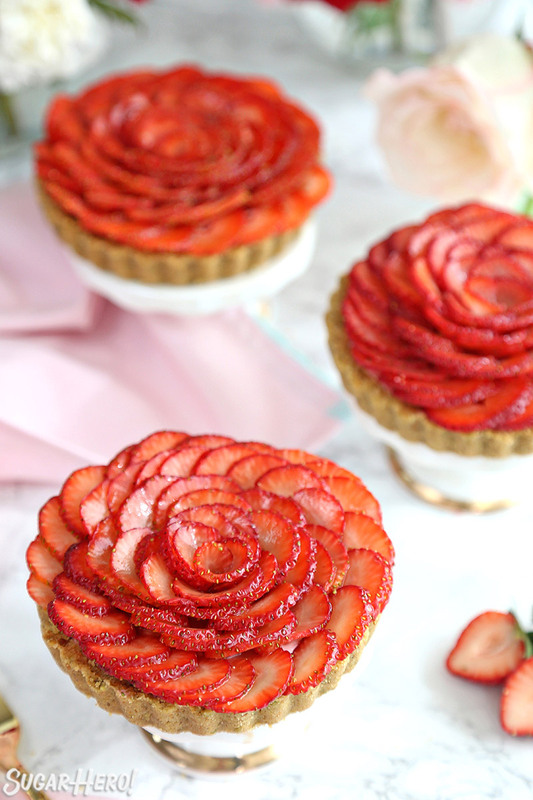 These mini Strawberry Rose Tarts are beautiful and romantic! 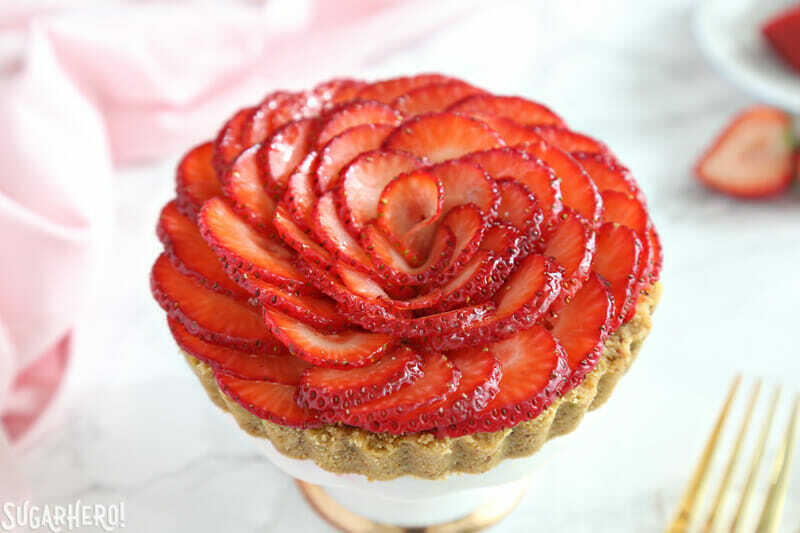 A crunchy pistachio shortbread crust is filled with delicious strawberry-rose cream, and topped with sliced strawberries in the shape of a rose. They’re fruity, floral, and completely dreamy. Thank you to International Delight for sponsoring this post. This year I’m pleased to partner with them to bring you a series of delicious dessert recipes! I don’t say this lightly, but mini tarts just might be the perfect dessert. They’re elegant and classy, they’re single-serving, they’re on the easier end of the dessert spectrum, and, not to be shallow, but they’re really beautiful as well. Satisfying my stomach and my judgmental nature? SOLD! This year I’m excited to be working with International Delight again to bring you some fun and creative dessert recipes. Last year, the recipes I’ve made with them have been some of my–and your!–very favorites, like the Galaxy Mousse Cakes, Unicorn Milkshakes, and Easter No-Bake Cheesecakes! I have a feeling this year is going to be even sweeter. Speaking of sweet (…see what I did there? 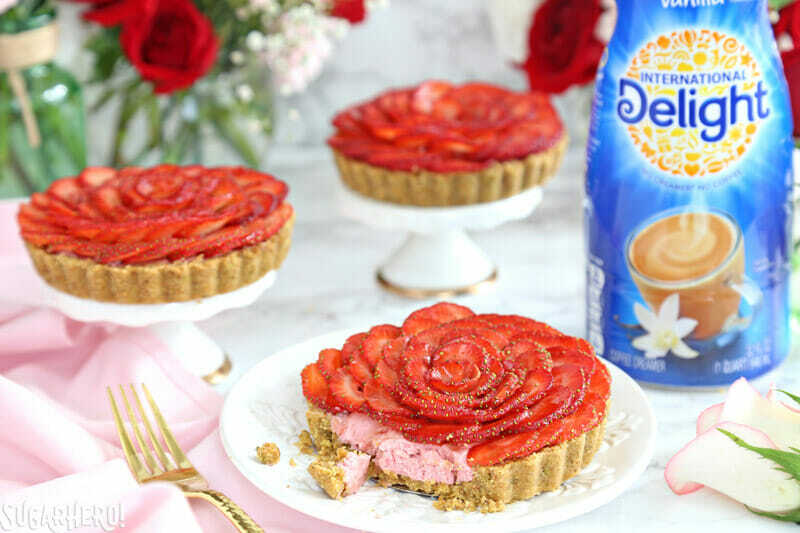 ), let’s talk about these Strawberry Rose Tarts. I have loved the turn-produce-into-roses trend for years, and could watch videos of people making avocado or mango roses on Instagram for waaaaay too long. 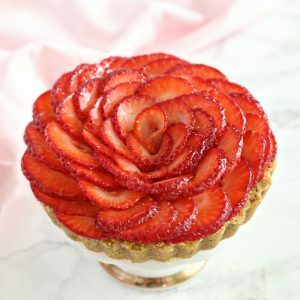 So when I decided to focus on a strawberry tart, I knew I wanted to play around with the idea and make strawberry roses on top. But we’re getting ahead of ourselves. First come the tart shells–just 3 ingredients and you’re done! I used shortbread cookies, toasted pistachios, and some melted butter to make a super simple, crunchy shell with a sweet nutty flavor. The pistachios can be swapped for any nut of your choice, and I think hazelnuts or almonds would also work very well. The filling is MAGIC. I’m calling it a strawberry-rose cream, but it’s on the hazy border between mousse and stabilized whipped cream. It has the lightness of whipped cream, but the stability of a mousse, and a vibrant strawberry-rose flavor. It’s made with white chocolate, my old friend International Delight French Vanilla creamer (mmmmmm), rose water, freeze-dried strawberries, and whipped cream. The freeze-dried strawberries are ground into a strawberry powder for this recipe–a super easy and convenient way to pack a LOT of strawberry flavor into desserts without ruining the texture by adding liquid! The strawberry powder does have a tendency to soak up moisture, so it’s not the best in baking recipes, but for soft desserts and frostings, it’s wonderful. In this recipe it helps stabilize the whipped cream, so it holds up under the strawberries and has a more mousse-like consistency. The rose water is also optional if you’re not able to find it, but I think it really makes the filling special. 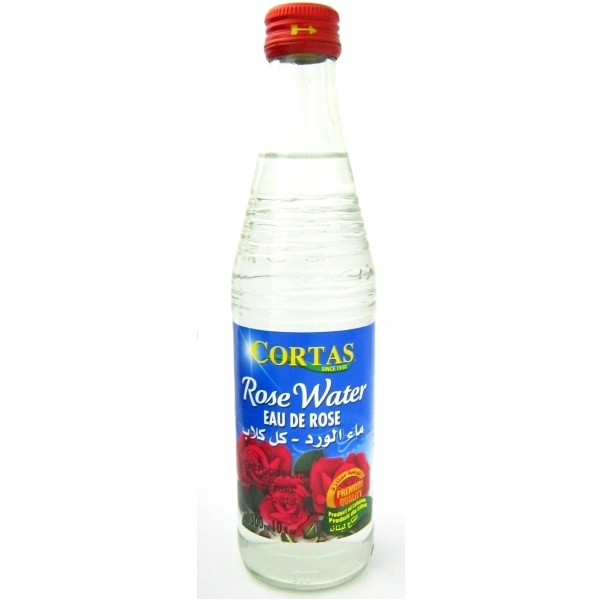 A big bottle of rose water is usually fairly inexpensive and lasts forever–plus you’ll only use a spoonful or two at a time, because it’s a strong flavor and nobody wants to eat a dessert that tastes like soap. 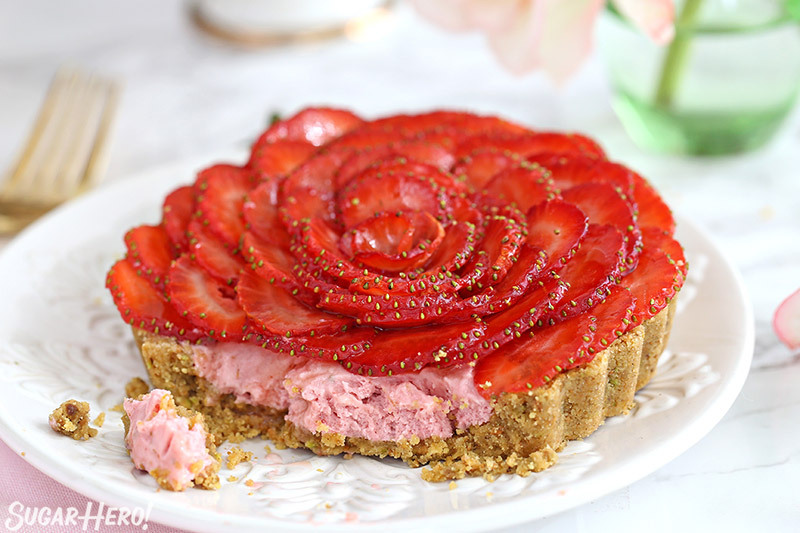 The light floral flavor of the rose is a beautiful compliment to the fresh strawberries and pistachio crust. (Rose, pistachio, and raspberry is a common flavor combination in Persian cuisine, and it turns out strawberries work well with this combination too!) I also like the fact that a tart that LOOKS like a rose also TASTES like a rose…it doesn’t take much to delight me sometimes. The rose on top isn’t hard, but I found a little method that saved me some time when assembling the tarts. Instead of placing each slice of strawberry individually, it was much easier to keep the strawberry together when making the slices, and then fan them across the knife blade (carefully, of course!). Then all of the overlapped slices can be transferred, together, to the top of the tart. This saved a lot of time and also made layering the paper-thin slices of strawberries much easier. I used about 8 medium-large strawberries on top of each tart, which seemed to be a good amount to get a large, generous rose, while not overwhelming the tart with a whole fruit salad on top. 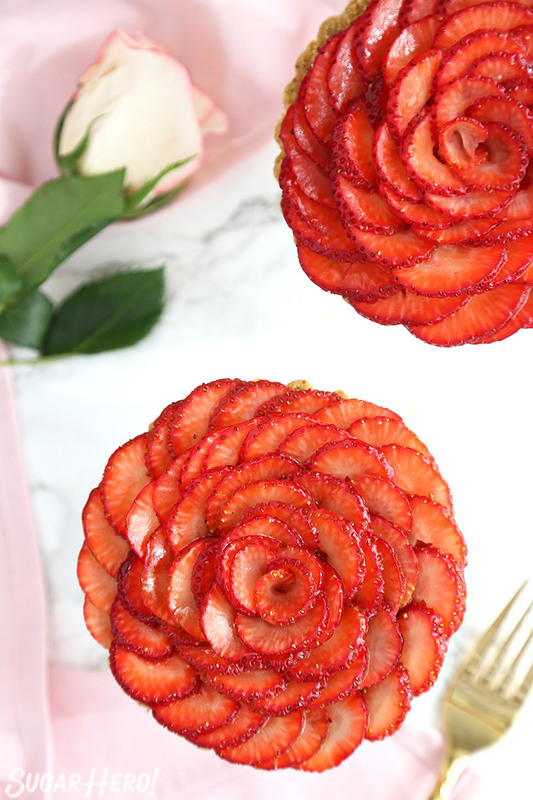 You can use more or fewer depending on the angle of the strawberry slices–if you fan them out wide you can use fewer, if you set them more vertical then you’ll need more, but it will look more like a realistic rose shape. Once you get the hang of it, they go pretty quickly, and your roses will be done in no time. These would make a great Valentine’s Day dessert, of course, but honestly they’re perfect year-round, assuming you can find decent fresh berries. They’d be gorgeous at a bridal or baby shower, or make a large version for a special birthday celebration! 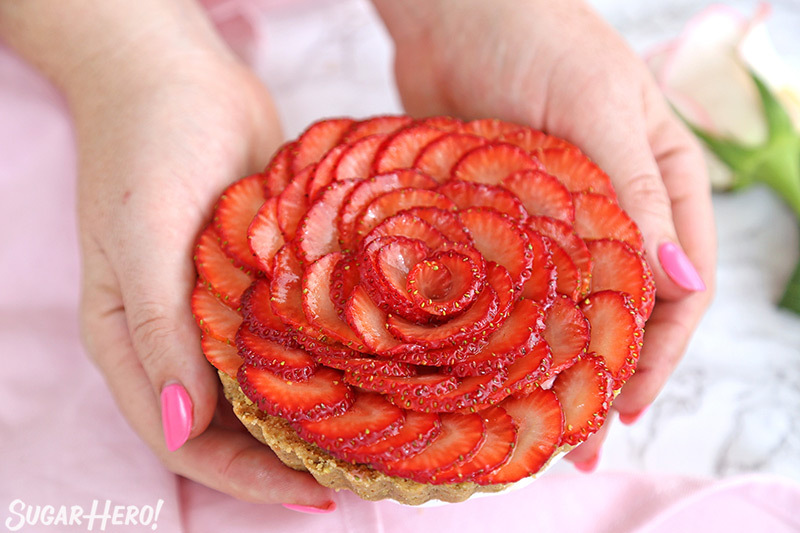 These mini Strawberry Rose Tarts are beautiful and romantic! A crunchy pistachio shortbread crust is filled with delicious strawberry-rose cream, and topped with sliced strawberries in the shape of a rose. They're fruity, floral, and completely dreamy. The rose water is optional but I think it adds a beautiful, subtle flavor. If you don’t have it, you can just omit it or substitute vanilla extract instead. Preheat the oven to 350 F. Spray eight 5-inch tart shells with nonstick cooking spray, and set them on a baking sheet. Place the shortbread cookies in a food processor, and process until they’re fine crumbs. Transfer the crumbs to a large bowl, and put the pistachios in the processor. Process the nuts until they’re finely ground, and combine them with the shortbread crumbs. Whisk briefly to mix everything. Pour the melted butter on the crumbs and stir everything together with a fork, until the crumbs have the texture of wet sand. They should not be soggy, but should hold together when pressed between your fingers. Divide the crumbs between the tart shells, pressing them into an even layer on the bottom and up the sides. Bake the tray of tart shells at 350 F for 10 minutes, until they’re slightly puffed and the surface looks dry. They won’t take on too much color while baking. Let them cool completely before filling the shells. 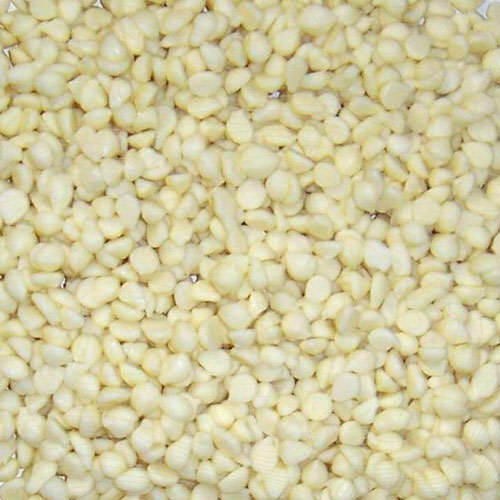 Combine the white chocolate chips, International Delight French Vanilla coffee creamer, rose water (if using), and salt in a large microwave-safe bowl. Microwave for 1 minute, then whisk well. If some unmelted chocolate remains, microwave in brief intervals, and whisk until melted and smooth. Add 1 drop of pink gel food coloring, and whisk well. Let the mixture cool until it is no longer warm to the touch, about 10 minutes. Whisk occasionally as it cools. While you wait for the white chocolate to cool, place the freeze-dried strawberries in the food processor and process until they’re a fine powder. Whip the heavy cream to medium peaks—it should have the texture of shaving cream at the end. Whisk the strawberry powder into the melted and cooled white chocolate. It will be quite thick at this point! Fold in the whipped cream in 3 batches, using a light hand so the cream doesn’t deflate. Fill the tart shells with the cream, and spread to the edges. You’ll need about 6-8 strawberries per tart, depending on their size. Slice the tops off the strawberries, and with the berry sitting on the sliced end, cut off a sliver from one side so that when you turn it on its side, it can rest flat. With the berry on its side, cut it into paper-thin slices—the thinner, the better! Keep the slices together in a berry shape. When it is all sliced, fan out the slices along the knife blade so they’re all touching and can be transferred in a single row. Use the knife to transfer the row of berries to the tart, and arrange them along the outside edge. Repeat with the remaining berries, overlapping them around each other in a spiral pattern until the tart’s surface is covered. 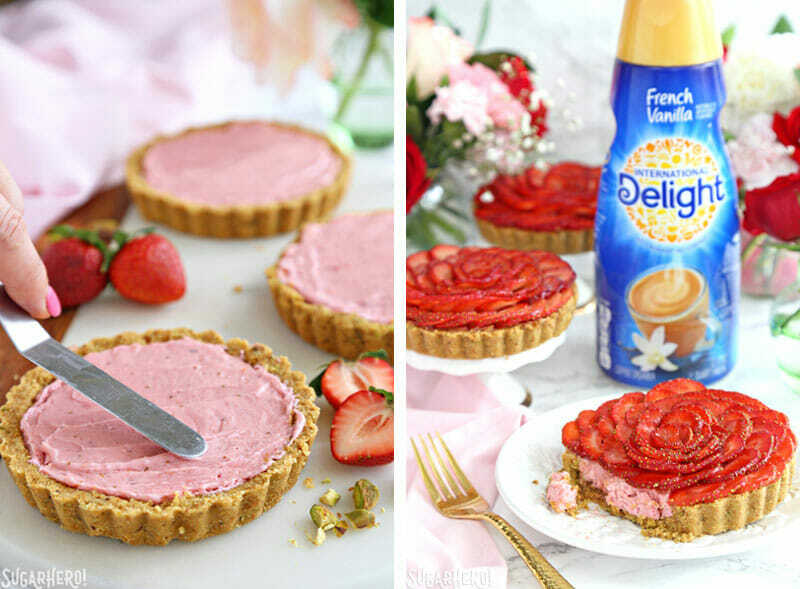 Repeat until all of the tarts have strawberry “roses” on top. Combine the strawberry jelly and water in a small bowl, and heat for 10 seconds, then whisk well. If the jelly still has lumps, continue heating in small bursts just until it can be whisked into a smooth glaze. Gently paint the tops of the tarts with the glaze to give the berries a nice shine and prevent them from looking wilted. Refrigerate until ready to serve. The strawberries do transfer their moisture to the tarts over time, so they’re best enjoyed within a few hours of assembly. 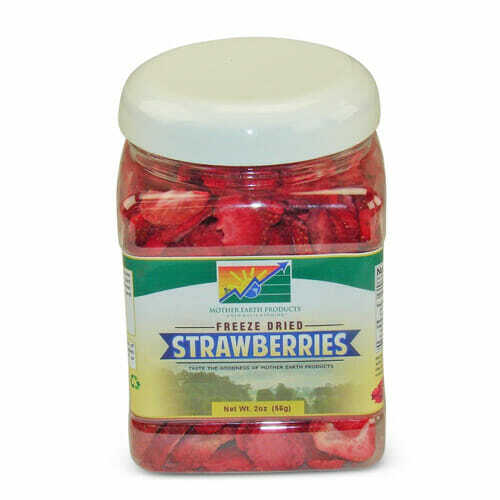 Freeze-dried strawberries can often be found in the dried fruit/nut section of many large grocery stores, or purchased online. If you don’t have them, you can substitute strawberry puree using the following instructions, but the berry flavor won’t be as intense and the texture will be a little softer. 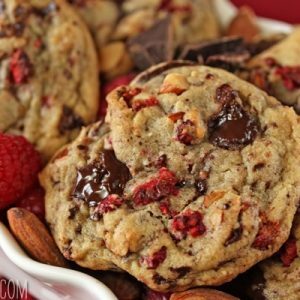 To use the puree, replace ¼ cup of the coffee creamer with strawberry puree before you melt it with the chocolate chips. You can also add strawberry extract to boost the flavor. Fun no school today project with the 6 yr old. She didn’t care for the rose water flavor but love the berries and the look. How fun that you made these with your daughter! My 5-year old son doesn’t love the rose flavor either, to be honest, so if I know I’m making a dessert for him I’ll leave it out. Fortunately these are good without the rose water, too! How beautiful are these?! 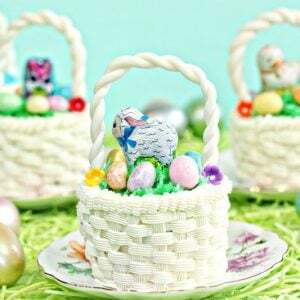 A great showstopper for an afternoon tea party, or just a nice treat. I’ll have to try this soon! WOW these tarts are simply amazing! So beautiful and I love the rose shape of the strawberries on top. Simply beautiful! Thank you, Natalie, you are so sweet! I appreciate the kind words. These are amazing! I’ve seen roses made with apples but never Strawberries, so pretty! Thanks Julia! Rose + berries is actually one of my very favorite flavor combinations. I’d love to know what you think if you give it a try! Right?? I always have at least a few flavors around. 🙂 It’s also really good in buttercream in place of milk or other liquids. Adds some extra flava! Very elegant! They look amazing! Do you think this could just be made into one normal-sized tart? 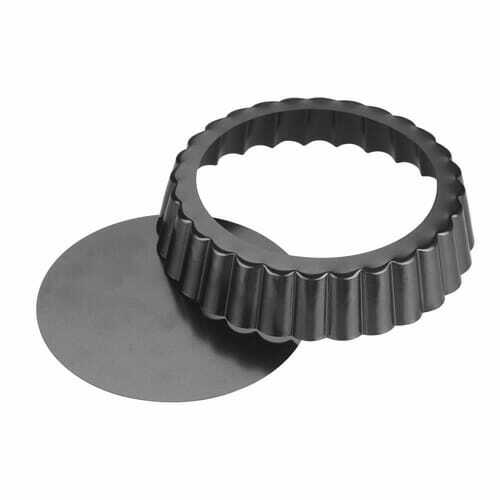 I don’t have nor do I want to spend the funds to drop over $100 on those little tarts pans. Do you think it would be enough to fill a regular tart pan?